What’s the latest “need to know” news in cancer research? 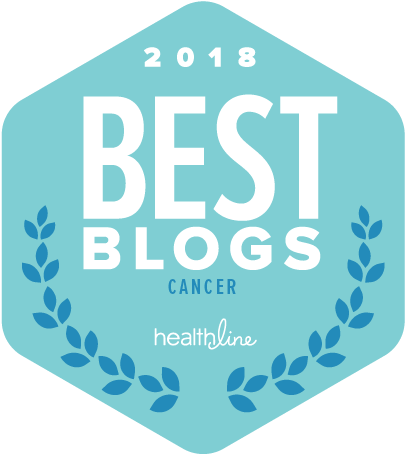 In this post, I’ll briefly review several of the most interesting cancer research stories that have been in the news this winter. Among the topics we cover this time are a new targeted therapy for cancer that’s making its way into breast cancer treatment and the possible negative impact on treatment effectiveness of certain compounds commonly found in food. In January, the FDA gave its first approval of a “PARP inhibitor” to treat breast cancer. The drug is Lynparza (olaparib) and it was approved for advanced breast cancer when a BRCA mutation is present. PARP inhibitors, which include Lynparza and a number of other drugs, are a relatively new type of targeted medication that works by preventing cells with damaged DNA (i.e. cancer cells) from continuing to grow and divide. PARP inhibitors have been approved already for ovarian cancer and are being tested in other cancers as well. In a recent article, Dr. Elaine Schattner explains why the latest research on PARP inhibitors in breast cancer is encouraging and has important implications for further advances. A study published in the journal Cell Chemical Biology suggests that xenoestrogens may significantly reduce the effectiveness of anti-estrogen therapies for breast cancer. In particular, the study found that xenoestrogens may counter the effects of combination treatment with Ibrance (palbociclib) and an aromatase inhibitor, Femara (letrozole). This treatment combination was approved in 2015 and is an important advance for patients with hormone receptor-positive metastatic breast cancer. Xenoestrogens include naturally occurring and synthetic compounds that act like estrogens in our body and that we’re exposed to through foods that we eat. The study’s senior author noted that “breast cancer patients taking palbociclib/letrozole should consider limiting their exposure to foods that contain xenoestrogens.” The authors also pointed out that not a lot is known about how biologically active compounds in our food and environment interact with drug treatments, and that this is an area where much more research is needed. It’s not only the prices of new cancer drugs that are rising rapidly. A recent study reported in the Journal of Clinical Oncology examined the prices of older cancer drugs over time and found prices are rising much more rapidly than the rate of inflation and that there’s a steady increase in prices over time. The study also found that even when new competing drugs came into the market this did not have any impact on the rising prices. Despite the plethora of proposed payment schemes and endless policy responses, for the most part, nothing has changed. With so much talk and so little action, one wonders how and whether the medical and policy communities will continue to respond to sticker shock. Will we tire of the talk and become so inured to the problem that we render ourselves helpless to effect change? The authors go on to consider where we could go from here despite the political gridlock that’s making reform difficult now. They make the interesting observation that, even where national level reform is ultimately needed, states can act as “laboratories of democracy” and experiment with changes that could be eventually adopted more broadly. They note, for example, that a majority of states have proposals under consideration to improve transparency in drug pricing as well as other initiatives. There were reports this winter about some fascinating new approaches to immunotherapy that are currently being tested in clinical trials. These new therapies are being studied both on their own and in combination with other therapies. One approach involves a “cancer-killing virus”–already in clinical trials–that is injected directly into the area of the tumor to kill cancer cells. In a study published this winter in the journal Cancer Research, researchers found that this drug also seems to trigger a wider immune system activation in the body against cancer cells. A new clinical trial will now investigate giving this drug by intravenous injection. Another approach that was reported in the journal Cell focuses on increasing the activity of a gene called ApoE that in turn activates tumor-fighting immune system cells. A compound that induces the body’s production of ApoE is being tested in a multicenter, Phase I clinical trial in people with a number of different types of cancer. A team from Johns Hopkins is working on a blood test to detect early signs of eight different types of cancer. The results of their research so far were published in the journal Science. The experimental blood test to screen for cancer was evaluated in a group of about 1,000 individuals who had been diagnosed with non-metastatic cancer and about 800 healthy adults. In this small sample, the test was relatively good at detecting some types of cancer (it correctly identified 98% of the ovarian cancer cases) but less good at detecting others (only 33% of the breast cancer cases). The test produced very few false positives (only seven in the 800 adults who did not have cancer). An article in Cancer Research UK commenting on the study says that this research is an important step in the right direction but that there are significant limitations at this stage of development. For example, the article notes, it’s less effective in detecting cancers at the earliest stage (stage I) although that is the goal–to find cancers as early as possible. Research continues and larger studies are planned.